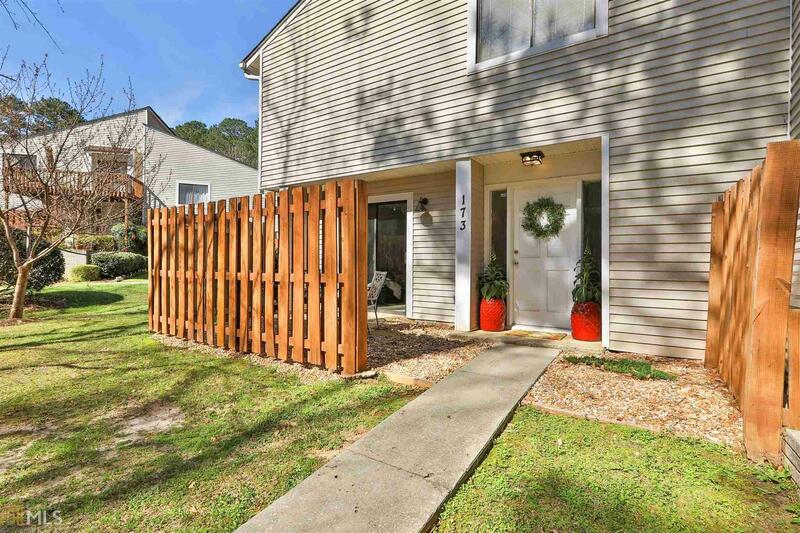 Move in ready condo convenient to shopping, dining, and recreation in the heart of PTC with direct golf cart path access! Three spacious bedrooms and recently renovated bathrooms and kitchen with granite tops and SS appliances. Large main floor living space and dining area. In-unit washer and dryer. Monthly association fees include water, trash, sewer, exterior pest control, landscaping, termite bond, exterior building maintenance, and community pool. Two fenced patios offer private outdoor space. Directions: Hwy 54 East To Right On Willow Bend Road. Right On Willow Road. Right Into Twiggs Corner. Take First Left. Unit 173 Will Be In The Back Side Close To Pool Area.